I ended up writing a bit about everyone's while I was figuring out which were my favorites, so I'll just leave em all here. Floflo79 - I feel like this one has a lot of independently very good elements strung together. The transition between the first and second parts feels kind of shaky to me, although that might have been better when put against the visual opening of the game; both sections worked very well on their own, however. The first pitch bent chord sounds really interesting, too, and I'd love to hear the piece build more upon that element. Basisti94 - Love the transitions in instrumentation in this one. I think especially in the more intense section some of the instruments could be made a bit brighter in the mix, but they're all perfectly placed for the flow of the piece. Excellent theme and form, really love this one. Shrinx - Really good composition, brought down a little bit by the mixing and sounds used. I feel the piano in the first part would be made a lot more effective if it was brought down an octave or used a more mellow tone; obviously it's hard to do that with general MIDI samples, and I think this used these samples about as well as they can be used on their own. As far as the actual writing goes, I really enjoyed it and felt it matched the tone you were going for. BeckWreck - This one gets bonus points from me just for being very unique in the pool of submissions. I liked how this one starts out almost playfully sad in tone, becoming more serious later on. I'd love to see how it's used in the game, but based on your description it seems to match its purpose perfectly. This is another one I think might have benefitted from a mellower/softer piano tone, as I think it's a bit loud for the emotions its trying to convey. Regardless, it works well. Soundsandstuff - Nice and goofy, the way MIDI tends to be. This fits a low-fi comedic RPG really well. The second half has some kind of awkward writing that makes the harmony really ambiguous, but with a bit of ironing out still would work really well - I can hear the self-aware intention, and I think it's great. Hslesperance - The harmonic work in this is extremely well done, and I'm surprised at how little the MIDI instruments clash in this one. I'd like to hear more of it, and I think it's a bit short/self-similar for an introduction, but what is there (especially the percussion) is excellent. 3rd: Danilo Ciaffi - Extremely good instrumentation, fits the horror theme perfectly. I love the narration over it, even if it's a bit corny. Only complaint I have is I think it could have used another section either to lead into the title screen or the action that would sort of introduce the hero's point of view - It cuts off very abruptly, in a trailer-ish sort of way, and I was expecting it to transition into the game itself. This one was excellent. 2nd: Avaruussaha - Well composed and well recorded. I think the tone of this piece really sets it apart. It's definitely one of my favorites. I think after the rhythmic shift it could have benefitted from a bit more sound in the lower strings; the new rhythm is a lot more intense and active, but the lower register doesn't increase in intensity in the same way. It'd probably be tough to do that with one guitar, though. Overall, it's still really good, and I'd love to see more pieces from this "game universe" in future contests. 1st: Tiger Child - My favorite, for sure. Really good instrument choice - Each section has its own unique tone, but the shared "exotic" instruments in the melody link it all together very well. I agree with everyone who said this is totally Chrono Trigger. Love it. Hey guys, this contest was really fun and the entries were all really nice! I want to precise that I considered my 2nd and 3rd place to be a tie, but having to make a difference I preferred to reward a more complex and well designed arrangement rather than a very lively performance. [3rd Place] Dawn [Avaruussaha] Even though the melodic line is pretty repetitive in itself, the performance and the arrangement are really dynamic and makes it really enjoyable. P.s. That melodic line would sound SO GOOD played on horns in some Powell style orchestra! [1st Place] Prelude, an Opening to an Adventure [Tiger Child] This is the song that fits the theme better imo. The arrangement is really dynamic and leads the listener by hand into a new world that is mysterious at first but becomes comfortable in the end. Onward by Hslesperance - I like how the instruments blend in together to make a nice opening theme. It reminds me of playing super nintendo as the story loads, and it's like entering a creepy forest. I also like the instrument that sounds like a spinning rattle but I forgot the exact name of it at the moment, and overall this was a good listen. Prelude Woods by Birdnet - I like the plucked strings used in this music, and it makes me feel like the hero wakes up in a strange unfamiliar forest world and is given a daunting quest. I like how it is also relaxing and can picture it also being music for an over world map. Malbona Tago by BeckWreck - I like this piano piece, and how the melody starts out with a happiness to it, and then it captures the feeling of the hero fellow's day when it gets sad but he must stay determined. I felt that when the minor chords started to come in, and overall I found this music very soothing. To the End by Shrinx - I like the sad piano tone and the use of string/synth instruments, and when the flutes come in it changes nicely with the melody. It makes me feel like I'm reading the text story of a new RPG game before the title screen, and I like how it builds up like a crescendo from the start and ends softly with the piano to close. It can also be a good theme for a rainy day for me. Prelude to a Forlorn World by Basisti94 - I like the guitar effects and the bass booming in the background. It paints a world that has fallen, with nice strings, and then the pace picks up to capture the feeling as the heroes rise and challenge the evil empire. It reminds me of an RPG similar to a game like Final Fantasy. Prelude / Opening by Floflo79 - I like the guitar chords and progression, and the nice flute melody. It reminds me of a game like Chrono Cross. It captures a mystical RPG opening for me, and can imagine it as music for a forest area in the early morning, and it was nice to follow along with the music with my imagination. Third Place: Dawn by Avaruussaha - This has very nice and clean guitar arpeggios, and I like how the chords progress in this, capturing the feeling of taking off flying and spreading the wings of a retro futuristic aircraft over the planet. The playing and recording quality is really good, with a nice echo room effect and harmonics. Second Place: The Fall of Belial by Danilo Ciaffi - I like how this has great voice over for the story telling, it's unique and refreshing. The melody fits in perfectly with the creepy feeling and setting of a rising evil in a forsaken world. This is like a movie trailer quality and I like how the voice goes, 'he's awake!' at the end as the monster appears, it surprised me! I also like the originality of the idea and the use of the various instruments. 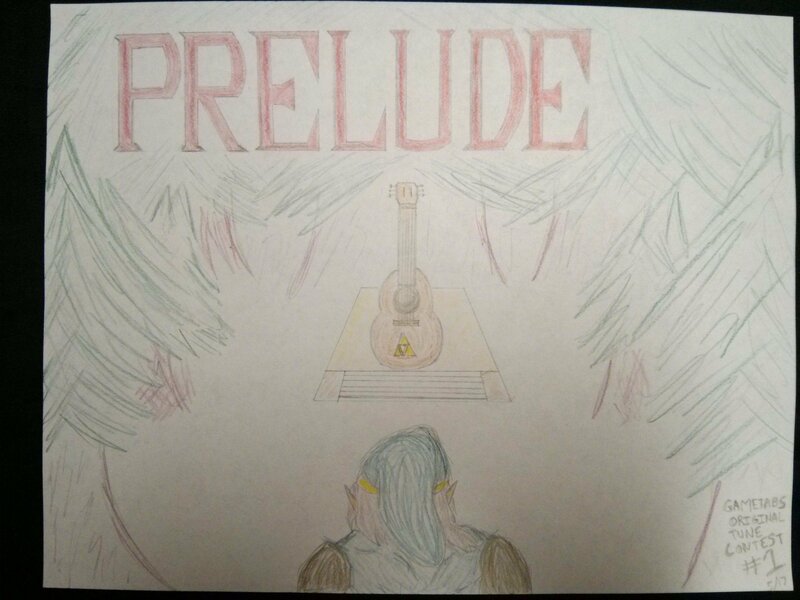 First Place: Prelude, an Opening to an Adventure by Tiger Child - I like the great use of various instruments, and I like the opening crescendo which then goes into the the flute then string melody. It is very dynamic and then changes to a different part of the song which features the percussion with the sitar, then a bass section that was cool. It has a nice soft ending too, and overall a great listen. Gotta make this short, time is money! 1) The Fall of Belial by Danilo Ciaffi - The voice over is quite unnecessary, but I really like what happens behind. It seems to be withholding twists and turns for the future, while still laying out the overall theme to come. Not quite sure about the voting all in all, but I've always stressed these things too much anyway. June will be lost in holidays, anyway, so cheers for all participants, its the most we've ever had I think. Good to see a lot of votes! I made a drawing for the contest too! i mean, obviously if the system is voting, i'll be glad to do it. i havent had an opportunity to listen to the entries yet. i'll try to sneak it in tomorrow sometime. Maybe I'll write more in depth, but the voting snuck up on me. I'll leave some short remarks. I can visualize a campfire scene here. My ear wanted to hear some shaker perhaps, and some sort of percussive hit with a lot of reverb on the 4 of the first section. Going into the second section, I feel like there should have been some sort of pause or otherwise a way to go into the next section, otherwise there seems to lack some congruity. You did however have a Picardy Third which made my ear really happy. Your first section is really good, I have no real issues with it. Going into your second section, I would have added some more instrumentation. I feel like you were trying to evoke some form of hunt, or epic call, so I might have played with higher pitched drums, a french horn as a countermelody, and maybe even some tubular bells. I'm a sucker for tubular bells. First notes being a minor 6th is a great way to generate space. 6ths are one of my favorite intervals. Probably because it's the first interval in the Kara no Kyoukai main theme. I have issues with your mix, you can see it visually on the soundcloud player. Your beginning is gentle, and when the rest of the instrumentation comes in,it gets really loud. I might have compressed it, or maybe mixed the piano higher. I think the piano in the beginning would have benefited from 16th note delays, and would have opened up the space in a really cool way. Probably the strongert pieces here, so my criticisms may seem harsh or technical, but that's because I can't nitpick at the little things. I think wee need some higher species counterpoint in the beginning section. Actually, something I feel would make the piece stronger would be countermelodies throughout. You've got this fantastic sense of foreboding, but I have nothing that my ear latches on to. Different feel, but I would take a look at Soul of Cinder from the Dark Souls III OST. Like your piece, it has a constant underlying motif (though you have changed instrumentation part way though) and still gives a melody to latch on to. Good playing, good tone. I would have started to explore more tones outside that pentatonic scale for a piece of this length. You've got a ton of prime repeats that latch to my ear, but it doesn't seem different enough. I would want to explore some percussion as an afterthought. Go find some random objects around the house and hit, drop, otherwise make it make noise. Doesn't always have to be strictly in time either. Take piece of paper and rip it slowly. Throw that in the back of a mix and you'll catch a lot of people's attention without them knowing why. Food for thought. My only real criticism is that it doesn't feel like a prelude. More like a whimsical theme. Once again, I have no real criticisms here, other then I dislike your mix. There's no space. The word I would use to describe is "pressure" and too much of it. Very Chrono Trigger. The ending section reminded me a lot of of Corridors of Time. By submitting to midi, it allows me to open up a notation software and really take a look at your thought process. I like the Alberti Bass in the beginning and the use of chromaticism. I would have like to see you render this in an 8bit tracker. I apologize as I'm at my time limit and am having a hard time listening tho things a couple times in a row. By virtue of being at the bottom of this list, you get the shortest review. The air of mystery is great. I want more reverb in that percussion, though that is becoming a common thread. If anyone wants some exact criticism or wants to tell me I'm a jerk, please feel free to PM me. Okay, here are mine. Honestly there were no bad tracks here, I liked all of them, but these are what stood out to me the most. I really like the mysterious vibe you have here. It makes me think of Princess Mononoke, and that is a very good thing. I have however hard time seeing it as a prelude, it’s a really good track but it could fit the theme better. I really like this one, and the performance is very good too. The song itself made me think of a Western or American frontier setting with its slight American folk vibes, which does appear to be pretty different from the theme you set and what others have said about it here. This is a really wonderful piece and it paints a clear picture of your setting. The atmosphere is great. The synth in the middle also made me immediately think of the Nausicaä soundtrack by Joe Hisaishi, in case you are familiar with that. The thing that is keeping it from the first place however is that it lacks a clear memorable and recognizable melody or theme. I’ve always really liked Hslesperance’s entries, I think they capture the feel of the PS1 era video game soundtracks perfectly with the memorable melodies and rhythms, and this definitely is not an exception. It fits the theme perfectly. Great picture Techno! Does the prince in your game get a smooch at the end? Sorry, not feeling up to writing about every piece, some people have done that already anyway. But I love it when we get so many varied submissions for the same theme. 3rd Place - tiger_child - As usual, you are great at storytelling through music. One thing that bothered me a bit was the overuse of the cymbal roll during transitions. Happens 5 times, just seems like a slightly lazy way to go from one section to the next, probably easy to use when the new phrase is fairly different from the previous. Otherwise, I really enjoyed each individual section! 2nd Place - Basisti94 - Great sense of pacing with the changing moods. I couldn't quite latch onto any melodies. Sadly, none of them were that interesting to my ear, but you definitely made the story come alive. 1st Place - Danilo_Ciaffi - Now that's an intro! Nice forboding sound, well arranged, and I think you did fine with the voice acting. Could have sworn there was a monster noise right before the "He's awake", but on second listen there wasn't. I think it might be a nice addition although you did put a growl at 1:29, maybe something louder like a scream? Great work though, listening to your VGM covers now. Thanks dude, I'm glad you liked it! 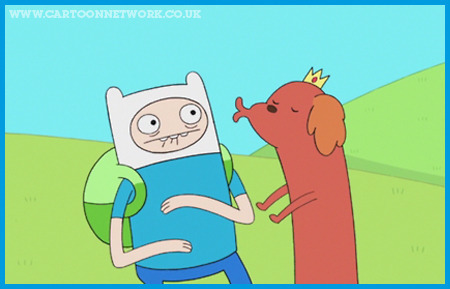 Haha Adventure Time is a great show! Yes, once you beat the game, Prince Buns gets a juicy victory smooch from Princess Hotdog, and she leaves a lipstick imprint on his cheek as he faints! At the final 1st place : Tiger Child with his Chrono Trigger inspired composition "Prelude, an Opening to an Adventure"
At the 2nd place: @Danilo Ciaffi#2550 with his cinematic intro "The Fall of Belial"
At the 3rd place: Avaruussaha and his lovely acoustic piece "Dawn" and Basisti94 with his orchestral "Prelude to a Forlorn World"
With the highest number of Honourable Mentions (2): Birdnet, with "Prelude Woods"
The +1 pink point is for the member with the highest number of Honourable mentions ! If he doesn't respond whiting the 12 next hours i'll ask Danilo, and if he doesn't answer i'll ask Avaruussaha and so on. I was thinking instead of the winner picking the new theme, since we already did that on the old forum Tune Contest, maybe we could make a soundtrack. We would have a premade list of themes that would be found in a typical RPG from start to finish. The first one was the Opening, then next could be something near the beginning of a game, like a Hometown. And it would go until the End Credits. People could choose to follow their own game sound from week to week to keep their songs consistent, or just do a different style each time. Then after the final round a compilation soundtrack could be made with all the winning songs, even though they might sound disconnected. Not sure if you guys would like that idea, or if it would be easier to just do like before and have a new, random theme each time. I really love that idea, lets me share it on the discord ! Congratulations to all of the winners and the participants! I enjoyed listening to all of the entries , composing my track, and reading everyone's feed back as well.